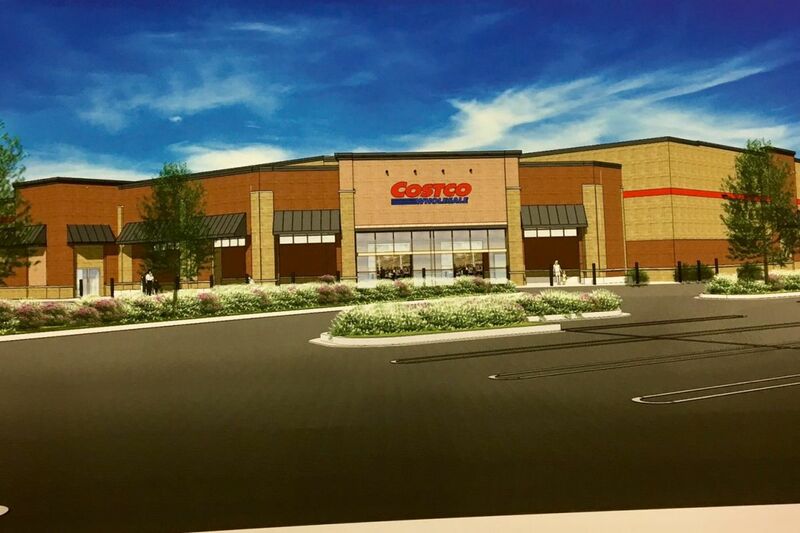 Rendering of Costco store approved for Garden State Park in Cherry Hill. Cherry Hill's planning board voted early Wednesday to approve a warehouse-style Costco store inside the sprawling Garden State Park complex on Route 70. The 7-2 decision followed more than five hours of often technical and occasionally heated testimony from proponents and opponents of the 174,218-square-foot project, which would include the Costco, several smaller stores, a gas station, and surface parking for 700-plus cars on Garden Park Boulevard. Cherry Hill resident Rena Margulis asks the township planning board to reject a Costco store proposed for the Garden State Park complex on Route 70. A five-hour public hearing ended with a yes vote around 1 a.m. on Sept. 6, 2017. The vacant 26-acre site was earmarked for office space, as well as a hotel, as part of what many believed — or hoped — would become a transit-oriented, mixed-use town center on the former Garden State Park racetrack site. But in the last two years, the land has become a focus of fierce grassroots opposition to the township's overall redevelopment efforts on Cherry Hill's west side, where aging highway strips and scattered low-density parcels are being eyed for redevelopment as mega-convenience stores or apartment complexes. "This [vote] is not easy for me," said board member Carolyn Jacobs, who also serves on the township council. She noted the general development plan for the former racetrack site "was originally put together under very different economic conditions." She added, "This change is warranted, and I am voting yes." Board members Alise Panitch and Sheila Griffith voted against the measure. "I am struggling here because there's been a lot of testimony about adverse impact. My greatest concern is putting the lowest [priced] gas in the region on Garden Park Boulevard, where [there may be] significant adverse impact on traffic safety and property values," Panitch said. Griffith said she was "conflicted" about the proposal. In 2016, owners of the ShopRite in the Garden State Pavilions shopping center — the back of which can be seen from the proposed Costco site — filed suit against Cherry Hill, alleging that an ordinance approved by the township council was tailored to benefit the Costco plan. "Naturally, the suit that is pending has important implications for the action the planning board has taken," Stuart Platt, a lawyer representing ShopRite owner Steven Ravitz, said Wednesday. "If the ordinance is struck down, the site plan [approved Wednesday by the board] on which it is based is therefore void," he added.